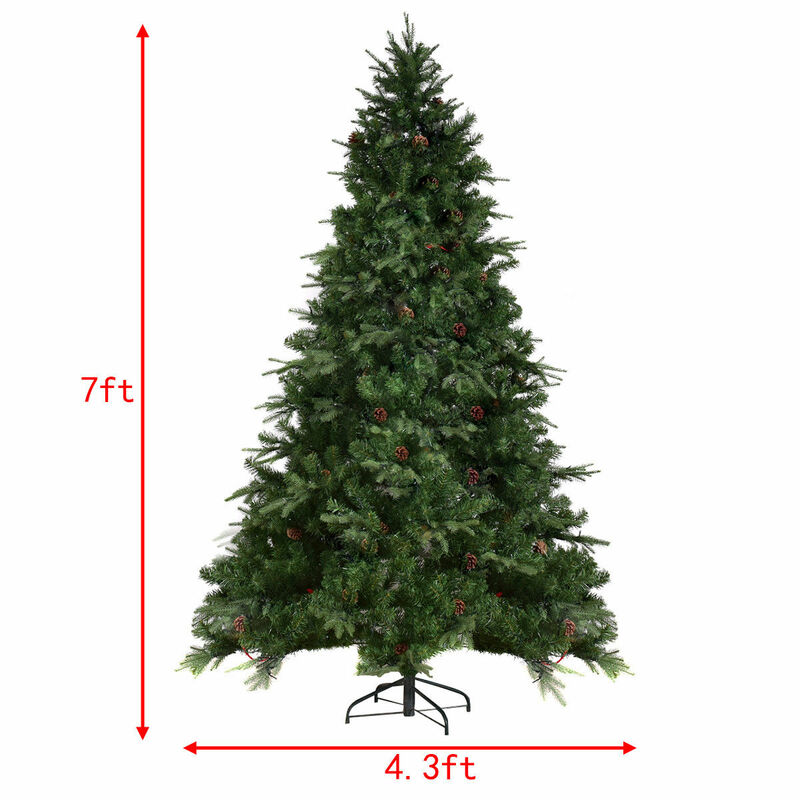 Our new 7Ft Artificial Christmas tree is an ideal Christmas trimmings. It features simple green color, 61 pine cones and 925 branch tips design to help emulate a real Christmas tree. The tree is made of fade and crush resistant PVC and PE needles, appears fresh-cut. In addition the staggered branches give the tree a fuller profile. High density metal bases to keep the tree planted in an upright position. The pre-installed 460 LED lights provide a warm white lighting effects, add a fantastic festive atmosphere to your home.